Grab hold of your iron, and face your foes with unwavering resolve! 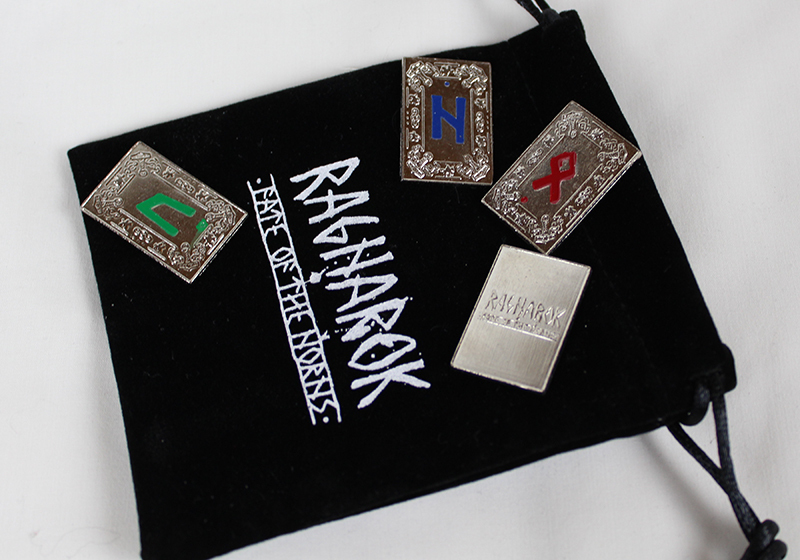 Within a black drawstring pouch, you will find 24 Elder Futhark runes, 1 void rune and 1 Valknutt rune. The runes are colour coded for Fate of the Norns games and have symbols for the colour blind.